This article is from Service Operation - Incident Management and has been viewed 29814 times. This article is from Service Transition - Service Validation & Testing and has been viewed 10867 times. This article is from Press Releases - ITIL and has been viewed 10910 times. This article is from Press Releases - ITIL and has been viewed 10912 times. This publication provides a comprehensive and much-needed source of information on data and information management - ideal in the current climate of information losses. This article is from ITIL Book Store - ITIL v3 Books and has been viewed 8666 times. 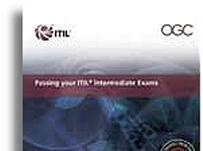 This article is from ITIL Book Store - ITIL v3 Books and has been viewed 13025 times. This article is from ITIL News - Previously and has been viewed 10853 times. 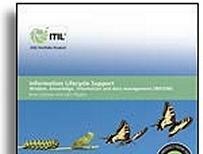 This article is from ITIL Book Store - ITIL v3 Books and has been viewed 8861 times. This article is from ITIL Book Store - ITIL v3 Books and has been viewed 9521 times. 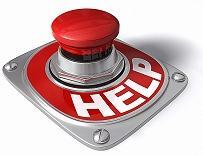 ITIL - What are the Service Sourcing Considerations? This article is from Service Strategy - Service Generation and has been viewed 13855 times. You can advertise here from as little as $US10 per week. NB: We are an independent web site not affiliated to any supplier / vendor / company and are wholly funded through low-cost advertising. ITILnews.com marks each article added with one or more of the icons you can see at the top right hand side of the screen - being either General, Practitioner, Foundation, Guru or Manager. You can click on these icons to list only articles relevant to that icon. You are now viewing all the articles on ITILnews.com with the General icon checked.